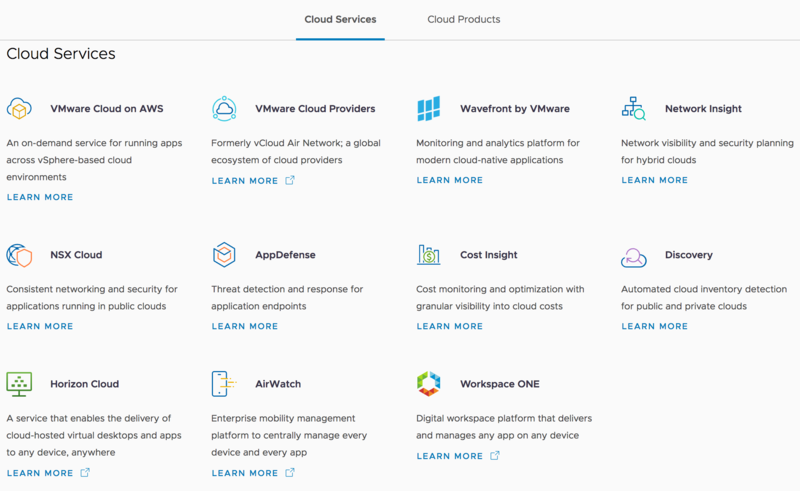 At VMworld US 2017, VMware announced six VMware Cloud Services in addition to VMware Cloud on AWS. 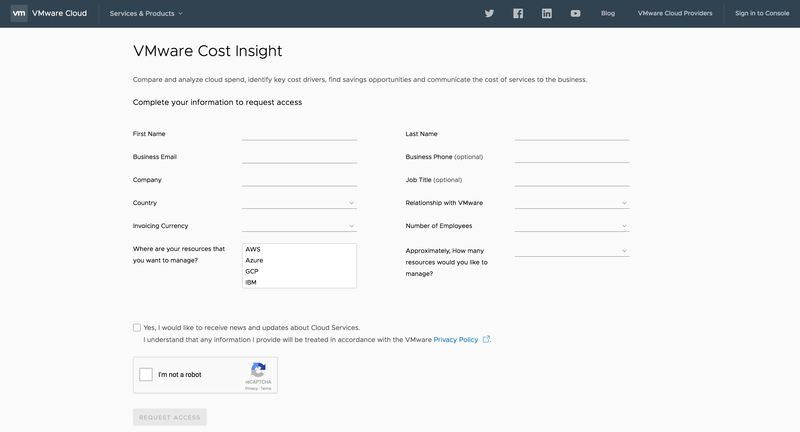 In addition, a new landing page was made available which includes other existing VMware products as well. 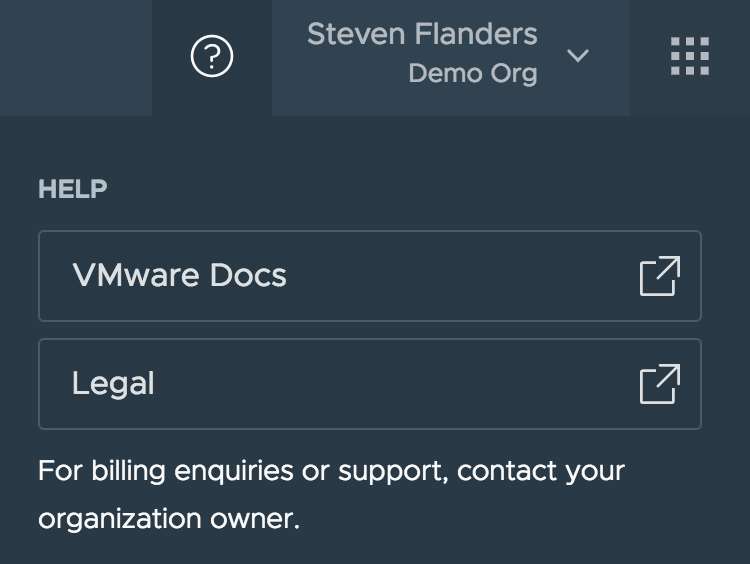 While I plan on doing a deep-dive on at least the management products available as part of VMware Cloud Services, in this post I would like to cover what was made available in the management space, how you go about signing up for VMware Cloud Services and what the console looks like. Read on to learn more! Discovery is offered as a free, complimentary service to another service like Cost Insight. 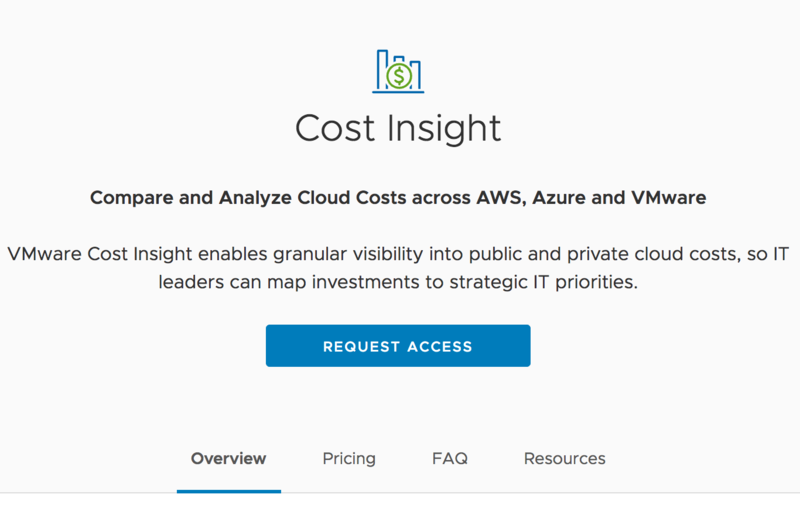 This means you would typically request access to Cost Insight and get Discovery as a result. As the names of Cost and Network Insight imply, they deal with costing and networking information. Wavefront is a real-time, high-performance metric store. 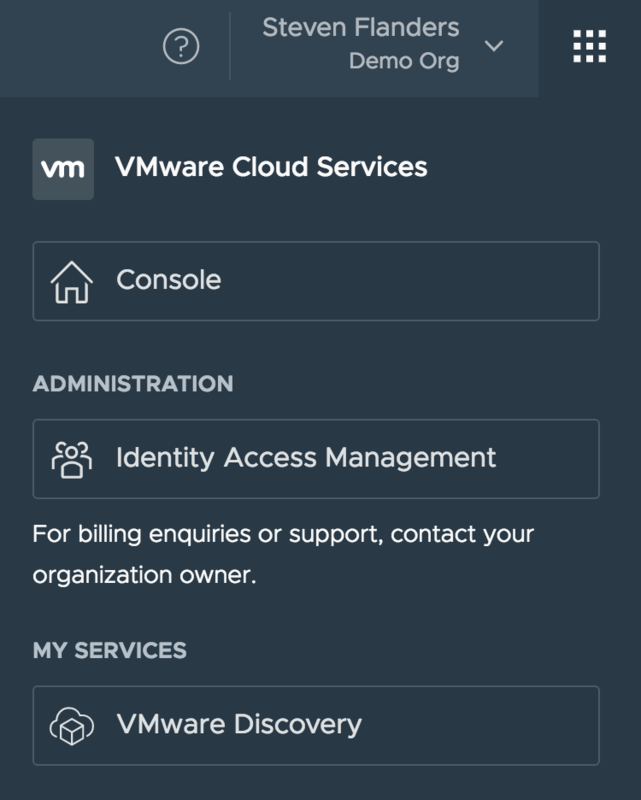 Of course, if you want more details on each of these service, see the VMware Cloud Service landing page linked at the beginning of this post. 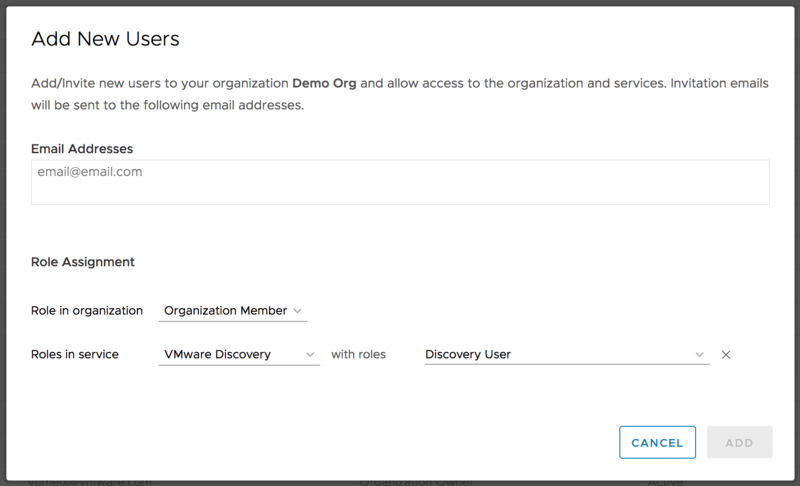 Once completed, either someone from VMware will reach out or you will receive an email with access information. After you receive an email to register for access, you will walk through some initial steps including accepting the EULA and entering contact information. Going forward, you can authenticate with your normal VMware credentials. In addition you can add or remove users. When doing so you must specify a role for the organization (member or admin) as well as a role for each service you wish to grant the user(s) access to (roles are unique to each service). 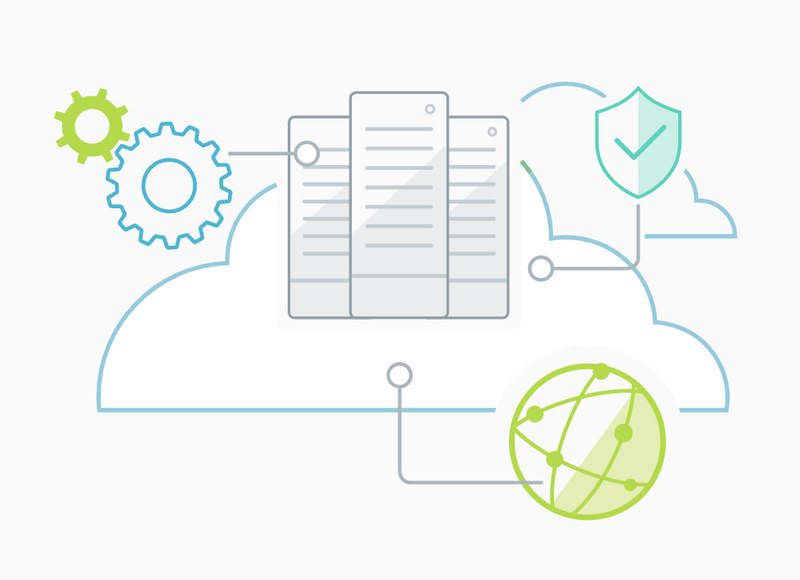 As you can see, it is quick and easy to get started with VMware Cloud Services. In future posts, I will walk you through each service and the value it provides. Let me know your thoughts in the comments!